Pretty as a picture. 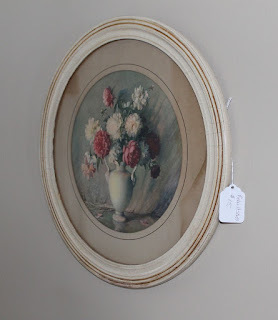 Old round frame with glazed paint. 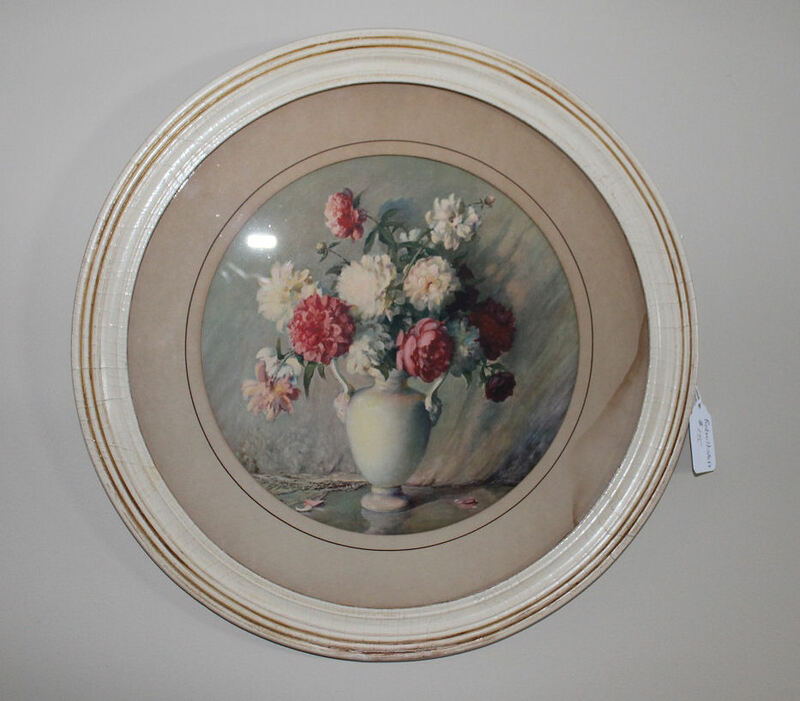 The picture has some age spots (water damage). Such a charming print for $20.